Fight Diabetes with Right Food…!! Make this the slogan as it will help in reversing and controlling diabetes. I had a client of mine named Saiyra, she was 39 years old. She was a working lady. She was busy with work but was noticing the deterioration in health day by day. When it got much on nerves she started taking care of her diet, nutrition and physical activities. But soon realized she needs an expert who can help in overcoming the problem. She initially thought that was into menopausal period. Eventually, decided to meet a dietitian or diet consultant. She entered up at my clinic and told me her story and I asked her to undergo the blood tests. She was in a very bad phase when she saw the reports. She was diagnosed with type II diabetes. She was panicking badly. She said I am over. My life has gone to medicine. I calm her down and told her Don’t Give up to the Diabetes, Fight right Now!! Fight back diabetes and live long a healthy life. It is possible to Fight Diabetes with Right Food. I helped her in controlling her fear, tension and anxiety towards Diabetes. I told her there are many ways to fight diabetes and control diabetes too. For this she needs to add fruits, vegetables and proper diet that fight diabetes. Therefore, it is rightly said Fight Diabetes with Right Food. She can also opt for some supplements to fight diabetes. She must engage in some sort of physical activities, yoga, aerobics, zumba are best exercise to fight diabetes. 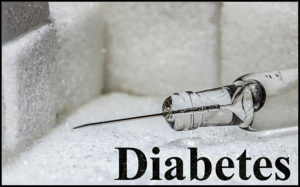 It is very important for her to know how to control/prevent type II diabetes. I have told her to maintain the sugar levels (control diabetes) to avoid the complications associated with diabetes. It’s my duty to educate her, thereof; I educated her about some diseases associated with it. It included tooth decay, gingivitis, and numbness in feet, skin diseases, body ache, neuropathy, cardiomyopathy, and nephropathy. I told her all this as she was not interested in eating medicines. So, I consolidated and calmed all her queries. After quenching her emotions, worries she asked about diet…what to eat? Making some small alterations in diet (nutrition) and lifestyle she can easily conquer her diabetes. She was told the power of Fight Diabetes with Right Food. She may take approximately 3-6 months in totally controlling down the sugar levels. To modify the routine to some extent will make the life fruitful so don’t give up to the Diabetes, Fight right Now!  Must eat frequently in small quantities.  Must eat in every 3 hours.  Avoid long gaps / intervals between the meals.  Add fruits in your daily regime.  Add veggies in your diet. It can be either raw or cooked.  Take roasted namkeen, diet mixture, makhane, murmure, popcorns, bhelpuri, soups, germinated beans or legumes.  Do not skip breakfast.  Avoid fried food stuffs.  Some of the options of snacks or breakfast includes Idli, Dosa, Uttapam, Upma, Poha, Oats, Wheatflakes, Ragiflakes, Museli, Besan Chilla, Moong Chilla etc.  Must include approximately 500 ml of milk or milk products.  Avoid refined wheat and its products.  Avoid taking sugars and artificial sweeteners. 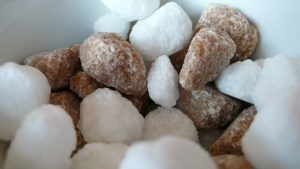  Instead can take stevia (natural sweetener).  Do not take high calorie dense fruits like banana, chiku, mango, lychee, custard apple, grapes.  Take at least two fruits (200-250 gms) daily in brunch.  Take multi grain flour for making chapatti.  Add green leafy vegetables in your diet.  Must take 2 plates of salad daily in your diet. 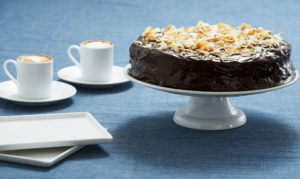  In place of fried foods take grilled, roasted, boiled, and baked.  A daily recommendation of oil is 10 – 15 ml.  Avoid rice, potato, corn, arbi type of high carbohydrate based food stuffs. When one is suffering from diabetes, the levels of sugar / glucose in the blood stream raise. 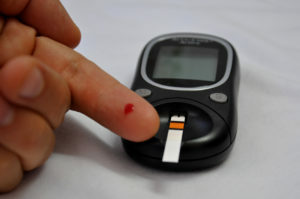 The only way to keep away from complications is to control the blood sugar levels. These are some essential ways to control or prevent diabetes. If you are also suffering from diabetes you must take a pledge don’t Give up to the Diabetes, Fight right Now…!! Fight Diabetes with Right Food…!! Make this the slogan as it will help in reversing and controlling diabetes.